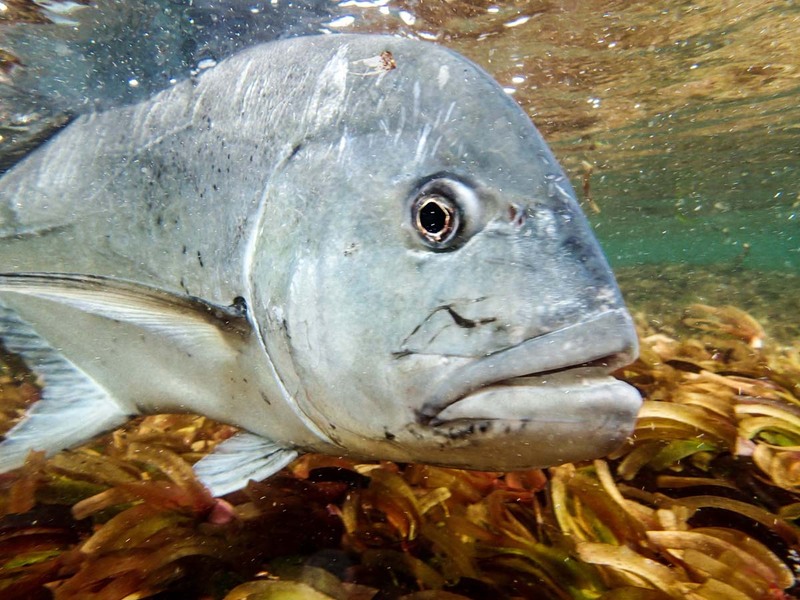 Known as the ‘Gangsters of the Flats’, Giant Trevally (GTs) are revered for their bullish nature and sheer strength. 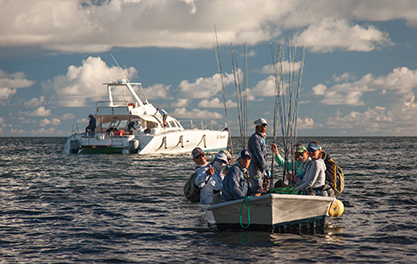 Taking on one of these silvery beasts on the flats (or the deep for that matter) is not for the faint-hearted. It is well-known that GTs put up a fierce fight against anglers which makes them such a sought-after catch amongst fly fishermen. These thuggish creatures have established themselves as apex predators due to their sharp hunting techniques, whether it be for Baitfish, Bonefish, Shrimps, Eels, Mullet or even other Trevallies. For a chance to view these strategic species in their natural habitat and, for those brave enough, to take them on, contact Alphonse Fishing Co. today!